Traditional medicines use herbal formulations as the predominant strategy for managing various disease conditions. The formulations are designed based on the concepts of holism and are expected to exert a poly-pharmacological effect. The unique philosophy of disease management in traditional medicines and the potential poly-pharmacological effects of the formulations can open up new horizons in drug discovery research. It can set new road maps for medical pluralism as well as holistic therapeutic approaches. However, the conventional bioprospecting strategies for TMFs are largely confined to the discovery of a single, target-specific bioactive molecule from their constituent plants. Such kind of a reductionist approach could not successfully address the basic therapeutic and pharmacological concepts of traditional medicines. Here, the chapter discusses the significance of bioprospecting TMFs, emphasizing the necessity of a novel integrative and transdisciplinary approach for bioprospecting. 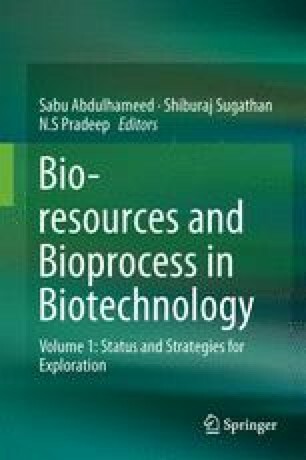 The chapter also discusses how a better bioprospecting strategy can be adopted for traditional medicines using Ayurveda and traditional Chinese medicines as examples.